Remember that video of Bao Bao discovering snow this Winter? Now, remember the last time you discovered something you loved so much you wanted to roll around in it? If you’re coming up blank, it’s probably time to visit Bul. A new offering from the minds behind Sakuramen, Bul channels classic Korean street food and drink into a menu you didn’t know you were craving. They call it a pojangmacha, because it’s modeled off bustling pop-up street food carts in Korea. You’ll want to roll in The Best Thing on the Menu: Hangover Soup— a generous bowl of enoki mushrooms, leeks, chilies, and Busan-sourced fish cakes in a rich broth. Served with a deep ladle, this habit-forming brew is best enjoyed with a group of drinking buddies—which is true for most of Bul’s fare, falling mainly into the categories of Little Anjus and Big Anjus. (Anjus are plates meant to be enjoyed with alcohol). Luckily, working up a Hangover Soup-worthy hangover just got easier with Bul’s recent alcoholic additions, featuring bottled sakes, beers, sojus, makgeolli, and an array of canned sakes so inspiring it verges on art (especially for Warhol fans). Non-alcoholic options include DC’s on Craft Kombucha on draft, with seasonal flavors such as elderflower and pomegranate. Other standout Anjus include the DC Kalbi Ssam (Korean BBQ short ribs) and the Dukboki (rice cakes in a tangy red sauce). If you can get a break from looking at your Google Translate app, also be sure to order a few of Bul’s yakitori. 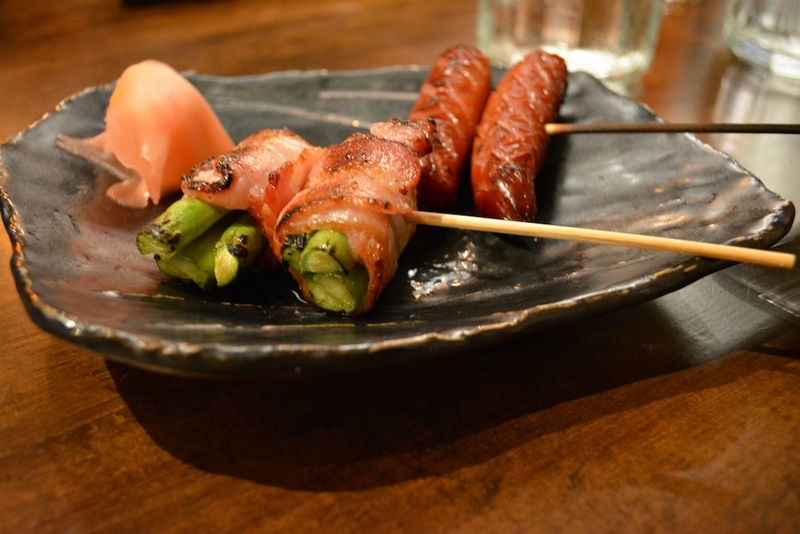 These Japanese-style small open fire-cooked skewers, including chicken meatballs and bacon-wrapped asparagus, are perfect for appetizers, happy-hour snacks, or simply a quick bite on a busy day. 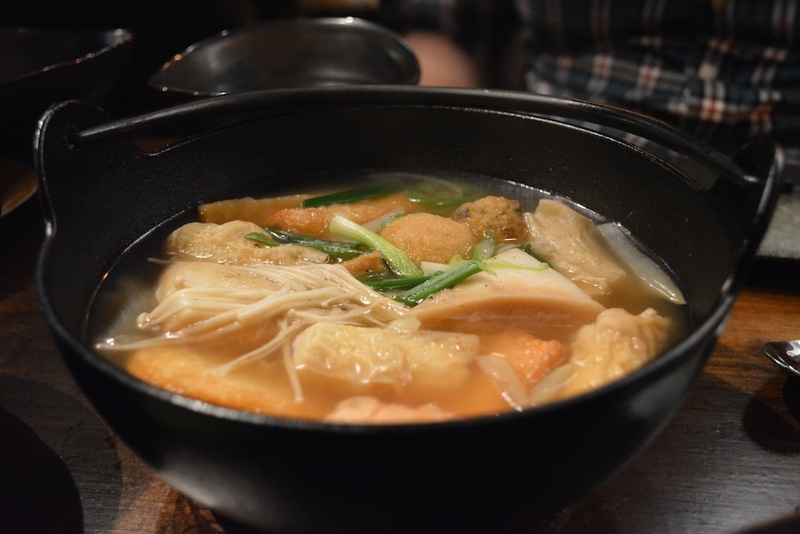 Their flavor comes from “tare”typically made from soy sauce, roasted chicken bones, mirin and sake. For something different, visit BUL on February 10th. They’re screening “Fresh Off the Boat.” Tickets are available here. Bul is located at 2431 18th Street NW. Hangover Soup not your BTM? Share your favorites in the comments section.